So you are storing extra food for times of emergency, right? Unless you have all canned goods or MRE’s, that food will need to be cooked. Even canned meals and MRE’s taste better warmed up. However, in many emergency situations you are without power which means no microwave! Making a plan for powerless cooking as part of your prepping will help ensure you’re not eating all your food storage cold and raw. So here are eight great ways to cook when the power is out. 1. Fire. We’ll start with the most primitive. Build a fire in a fire pit, barrel, or other enclosure. Be careful, you don’t want to add a burning house, field, or tree to your emergency! You also don’t want to cook your food over something that produces toxic fumes as it burns like tires. Roast your food on a stick or use metal to make a grate over your fire and cook in sturdy pots and pans. To make it work you’ll need: a safe place to burn, fuel to burn, and matches or other fire starter. 2. Wood or coal stove. If you have a wood or coal burning stove in your house, you can cook on the top of it if it’s flat enough. An old wood burning kitchen stove would be awesome although I expect this method would have a pretty steep learning curve for those of us accustomed to cooking with power. A benefit of this method in the winter is being able to warm your home with the same fuel you’re using for cooking. Not so beneficial in the summer! To make it work you’ll need: A wood or coal stove safely installed in your home or bug out location, fuel to burn, matches or other fire starter. 3. Rocket Stove. These are little stoves that burn standard biomass fuel like sticks, but use less of it than an open fire. You can make your own rocket stove with empty cans, or purchase one like the EcoZoom stove or the similar-to-a-rocket-stove fuel saving Volcano Stove. To make it work you’ll need: Some form of rocket stove, fuel to burn, matches or other fire starter. 4. A barbeque grill. This one is easy if you are used to cooking on it anyway. An outdoor grill, either gas or charcoal, is a simple powerless cooking option. Grill meats, large veggies, fish, etc. Anything small enough to fall through the grate can be cooked in foil or a pan. To make it work you’ll need: A grill, propane in your bottle if it’s gas or charcoal if it’s a charcoal grill, possibly matches or other fire starter depending on your grill style. 5. Camping stove. These are the portable stoves like the Coleman Stove your grandpa used when he went camping. Except now there are so many varieties out there from super light weight backpacking stoves to more stable single burner stoves to larger two burner stoves, there’s surely one that will fit your needs for preparedness and probably make itself a regular use cooker during camping season as well. Each stove will have a specific fuel type, so make sure you’ve got the correct fuel for your stove! To make it work you’ll need: Camping or backpacking stove, fuel specific for that stove, fire starting method if your stove doesn’t come equipped with electronic ignition. 6. Larger camping stoves. Larger camping stoves, like a Camp Chef, are a bit more cumbersome than their backpacking counterparts, so won’t work as well if you’re doing a quick evacuation, but they are great cookers. They generally run on large bottles of propane and come with legs so you’re easily able to cook standing up rather than on the ground or balancing your stove on a rock. To make it work you’ll need: A stove, propane, and a fire starting source if your stove doesn’t come with auto ignition. 7. Your gas stove top. If you’re lucky enough to have a gas stove in your kitchen and the gas lines are not damaged, you can use the stove top in your home. Just light it with a match or other fire starter. Due to fluctuations in flame to adjust for temperature, your gas oven won’t work without power. Cook up anything in a pot or pan on your stove as you normally would once you bypass the electric ignition and get it lit. To make it work you’ll need: Gas stove already installed, matches or other fire starter to get it lit. 8. Solar oven. You can make your own or purchase one like the Global Sun Oven. You can even make one out of a Pringles can. These work great on hot sunny days, but also work on cold sunny days! Depending on your design, your oven may not work too well on windy days. A solar oven can cook anything you’d put in your normal oven as well as dehydrate foods. To make it work you’ll need: Solar oven, sunny day. Of course, for each of these cooking methods you may need specific pots or pans for them to work best. Testing out your gear before an emergency is always a good idea. And just for fun, I’ll throw in these safety disclaimers as well. Some of these methods of cooking use open flames. Don’t burn your house down. Others burn fuel that need ventilation–don’t use those stoves indoors. Okay? Now here’s a challenge for you. Some time this week, cook a meal using a powerless cooking source of your choice. This could be as easy as a BBQ or as challenging as building a solar oven and baking a cake in it. Get out and give it a try and let me know how it goes! I use our barbecue to cook meals at least 3 times a week. I like the flavour more. I also have a number of fondue sets that run on methylated spirits that can be used to heat. I found that cannister stoves are really expensive to use for a long period. When my stove was out, I went through about four cannisters in a week, just doing evening meals. You have given me some more ideas to look at. When I was a child, Mama always lit the oven with a match, so technologies must have changed. The eyes had to be lit with a match, too, as there was no electric ignition. But, I am old…lol. I have had electric stoves for about 40 years, but if I ever am faced with a gas stove with electronic ignition, this is good to know. 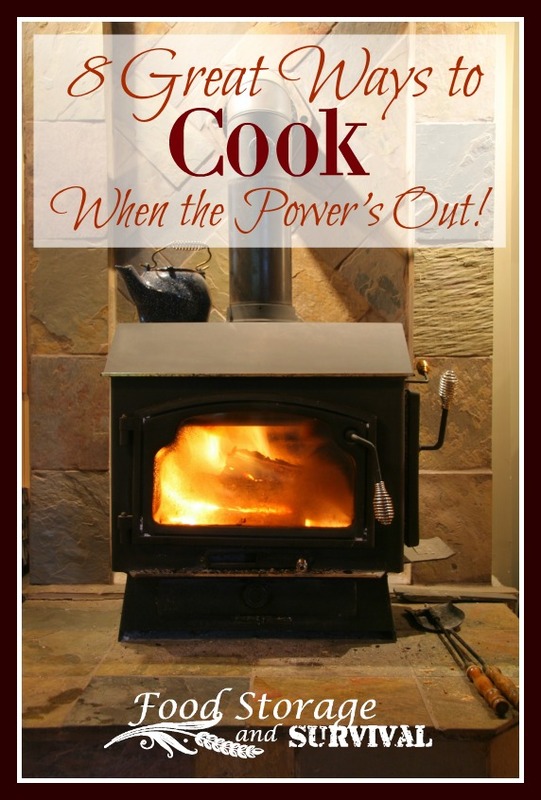 A wonder oven or haybox coking can conserve fuel. You simply boil your food for a few minutes, tuck the pot into the well-insulated wonder oven, and let it cook. 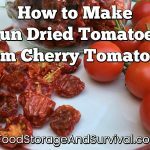 It will stay hot for hours, and you only need the fuel for the first few minutes of cooking. Thanks for mentioning this! A thermal cooker like a wonderbox works especially well in conjunction with those stoves that use non-renewable fuels like the camping stoves. The less fuel you need to use per meal, the more meals you can cook on your available fuel supply. Another great stove to consider is the Volcano stove. It utilizes the heat output of charcoal much more efficiently than a BBQ. When coupled with a Dutch oven, the amount of charcoal you need to store is significantly reduced. I’m a user not a vendor. If you haven’t seen them before, click here: Volcano Stove. I also have a gas stove and oven. I do not have an electric ignition. I wasn’t even aware that they make them like that. It’s certainly good to know and keep in mind, though! You can even cook yeast bread in a gas BBQ grill. Power went out just about the time the bread should have gone in the oven one Thanksgiving and that’s how I baked it. Turned out perfectly. Thanks Michael, that is good to know! I cook on a wood cookstove all the time. If I’m not using that (high winds around here don’t help make it the most efficient to use) then I use our woodstove. We live off grid without propane, so its our only option! It can be done full time. I’ve used a homemade solar box cooker with good success. It works best for cooking dried beans, peas, rice, pasta, etc. You should soak these for several hours then cook for most of a day. Cubed meat, and diced veggies, soup, stew, oatmeat will all take several hours in a solar cooker. If you have the fuel to bring the food to a boil then put it in the solar cooker things will cook in half the time. A solar funnel cooker works in even less time. You can find instruction to make them or to buy them online. Another method of cooking in a grid down situation is using a CAMP DUTCH OVEN. Anything you cook in your range/oven you can cook in a camp dutch oven. See http://whatscookingamerica.net/Information/DutchOven/DutchOvenCooking.htm to get you started. Google has lots of recipes and info on dutch oven cooking. If you can start a fire you can have awesome cooked meals without external power. Last year my husband and I took a sabbatical in the Appalachian and Blue Ridge Mountains in Virginia. We spent 2 months living entirely off grid. For cooking we used only the open fire. You have to be really careful with this. It was a learning situation. You really cant control the fire well so things would either take a long time to cook or they burned. Eventually we got the hang of it and didn’t waste much. But if you are thinking of this method I strongly advise practice before it becomes necessary. I found that the screen of an old projection TV is a plastic Fresnel lens. The whole screen when bent will concentrate sunlight to a fairly small point with intense heat. I was going to use a piece of this screen to patch a whole in my greenhouse and had it leaning against my sawhorse when all of a sudden, it started burning a hole in my lawn. I may be the first to ever do this so call it the Brian’s lawn burner principle. I haven’t cooked anything with this but I’m sure hotdogs would do well. Years ago, I had a bonfire and decided to experiment. I dug a hole, filled the bottom with live burning coals, dropped in a frozen chicken that I wrapped with tin foil and then covered it with coals and then some dirt. I dug it out in the morning and it was wonderfully cooked. A morning breakfast fire would be great to set this up for your evening meal. I would suggest wrapping the chicken with parchment paper first and then foil as aluminum is not good for you. It’s a new years day tradition with us, regardless of weather .this year (all cooked in the fire pits ) we had chicken & dumplings (in the dutch oven) over the fire ,sour dough rolls in a skillet & homemade baked beans-started the 31st in the bean hole ! Fuels like butane will simply not work at all when below freezing, so you’re out of luck right when you need it the most. Plus it only works with one specific type of butane canister, and gets expensive. You’re a lot better off with propane, all around.